Into April the finishing line in sight for a number of clubs the season soon coming to an end. Cambridge City Ladies Development 3 points clear at the top of the Cambridgeshire Women’s Premiership have 4 left to play, weren’t in action this Sunday but saw other results go their way. 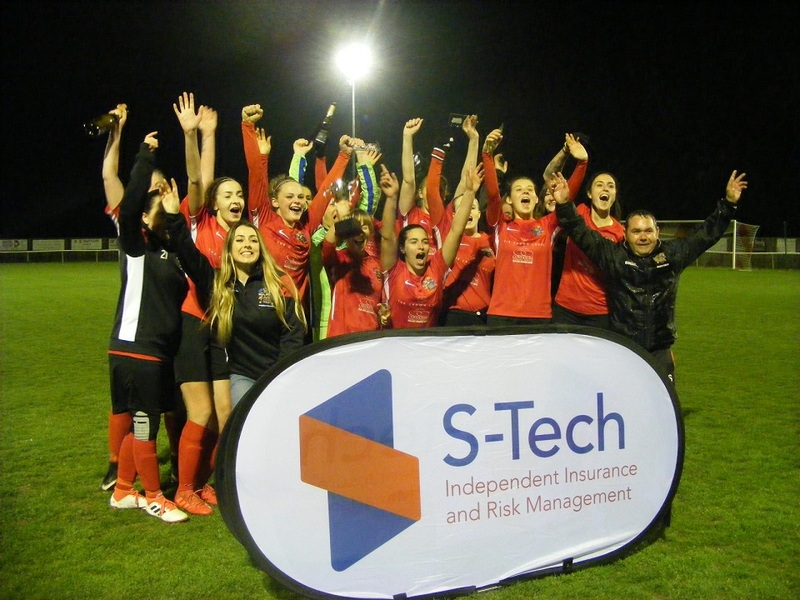 Just the one game played in the league at the weekend and it was a good result at home for Netherton United Ladies as they held third placed Cambridge University Women to a 0-0 draw. The big movers in the league Fulbourn Institute Bluebirds the latest side to leap from 7th to 4th courtesy of being awarded the 3 points for a home win over 2nd placed ICA Sports Ladies who now have just one mach left to play. In the Cambridgeshire Women’s Championship North leaders Ketton Ladies kept up their winning record 11 from 11 now to open up a 6 point lead at the top of the table. Ketton were at home this Sunday taking on 3rd placed Cardea Ladies. 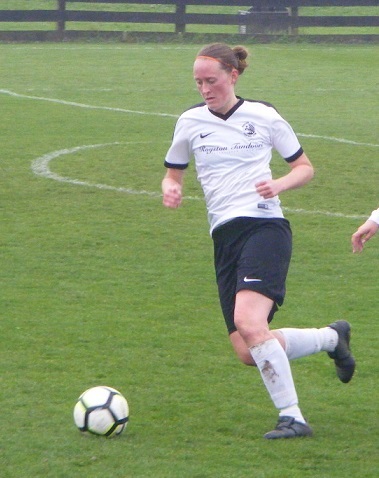 25 goals for the season now for Claire Lawrenson as she celebrated scoring a hat-trick for Ketton. Fran Kavanagh once again amongst the goals to netting a brace to move onto 44 for the season. Ketton winning the game 5-1, Laura Rudd with the Cardea goal. 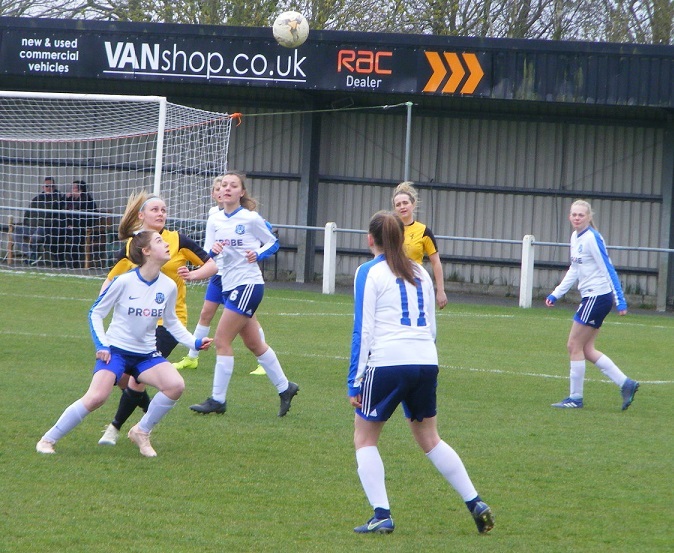 In the other game played in the Championship North there was a eye opening scoreline between Hungate Rovers Ladies & Wisbech St Mary Ladies with the hosts 2nd from bottom in the table racking up a double figure scoreline to win for just the 2nd time this season. Hungate Rovers ladies winning the game 10-0. Savanna Plavecz top scoring in the game netting a hat-trick. Also amongst the goals were Kelly McKenna scoring twice with a goal each for Ewelina Jerzak, Kate Neal and Kelly McManus the latter pair scoring their first goals of the season. Three games left to play in the league now for Haverhill Rovers Ladies look on course for the title holding a 9 point lead at the top of the Cambridgeshire Women’s Championship South. Can be caught by 2nd placed St Ives Town Ladies Development who have 3 games in hand, one of Haverhill’s remaining games however at home to St Ives. This Sunday they racked up another double figure win this time at home against Park Ladies. A hat-trick each for Kayleigh Nolan who has 16 for the season and Abbi Griffin who is on 9. Top scorer Joeli Kirby also on the scoresheet with another goal taking her tally to 36 for the season. Julie Brown and Sian Cotterill alos scoring with an own goal completing a 10-0 victory. 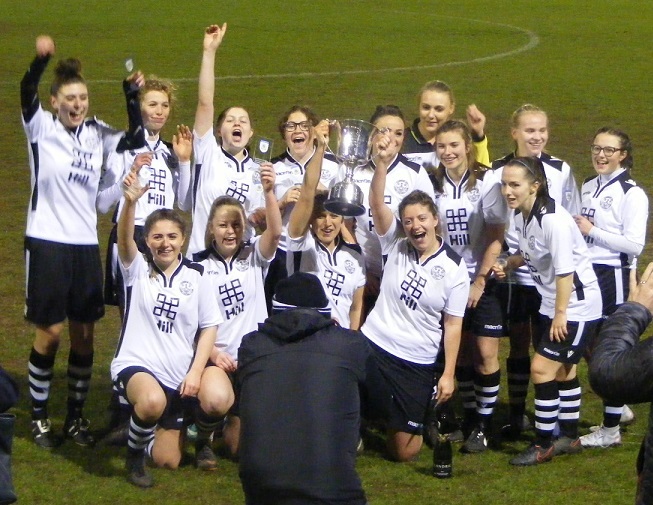 St Ives Town Ladies Development prepared for their upcoming Division One Cup Final this Friday with a comfortable home win against Isleham United Ladies on Sunday. Winning the game 6-0 to keep their title hopes alive games in hand will be looking to close the gap to leaders Haverhill before the sides meet on the 5th of May. Cambridge Rangers Women continue to keep neck and neck with St Ives Town Ladies Development level with them on 24 points albeit having played two games more. 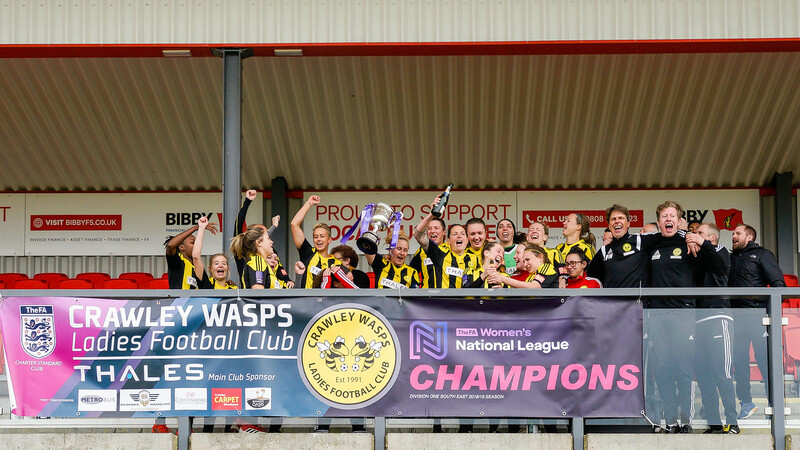 Their 8th win of the season coming at home on Sunday against Burwell Tigers Ladies. A close result in the finish Charlotte Fogarty and Elisa Heinamaa scoring a goal each for Burwell, Cambridge Rangers edging them out to win the 3 points with a 3-2 victory. 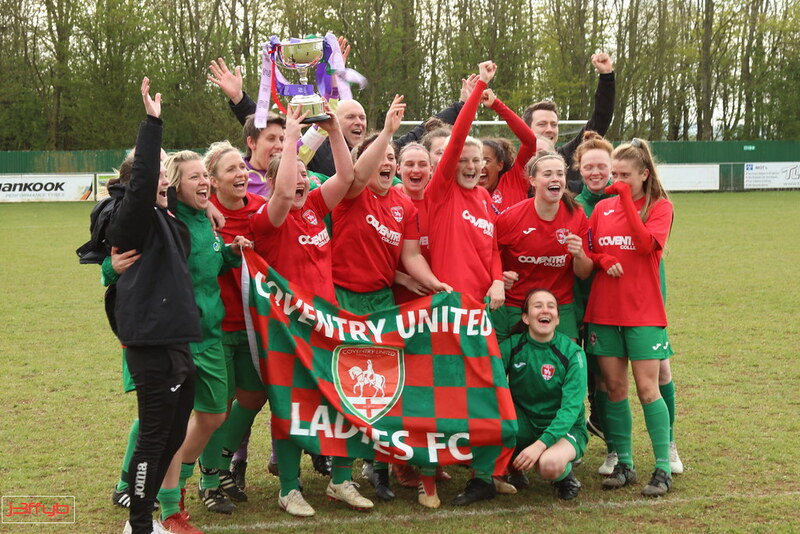 This entry was posted in Cambridgeshire Women's Championship North, Cambridgeshire Women's Championship South, Cambridgeshire Women's Premiership, The Round-Up and tagged Cambridgeshire Women's Championship North, Cambridgeshire Women's Championship South, Cambridgeshire Women's Premiership, The Round-Up on April 10, 2019 by WFEast.